I started the Belfast to Dublin Return ultramarathon full of confidence that I would not only finish the 214 mile (346km) longest road race ever held in Ireland, but that I would win it, and finish in time to have breakfast on Saturday morning (after a midnight Wednesday start) and then go and walk another 5km at the local parkrun at 9:30am. In 2017 I had walked the Dublin to Belfast race in a shade over 25 hours, finishing 4th overall (and only walker), and I figured that if I doubled my 2017 time and added 5 hours, then a 55 hour finishing time, maybe a little bit longer if I needed some sleep, should be possible. My confidence that I could win the race came from the knowledge that none of the other competitors had the long distance experience that I had – 23 events of 100 miles or further, including 5 events of 48 hours or more. In races of this distance, it is more about mental strength than physical ability, and even although I would be walking every step of the journey, I was confident that my experience and mental strength would enable me to compete against the runners in the field. I had also managed to complete a 48 hour race last October with no sleep, and thought it might be possible to extend that to complete the 214 miles without sleep if necessary. After an unplanned morning at work, I managed a three hour nap in the early afternoon before leaving home at 4pm for a 7 hour trip to the race start via bus and train to Stansted Airport, a flight to Belfast International Airport where I was collected by my friend Nick, and then a relatively short drive to the race start in Belfast City via a 24 hour supermarket to collect some last minute supplies. Not the ideal preparation, but I felt ready for a long race when I stood on the start line with 13 other people who also had the crazy belief that they could run and/or walk (I was the only non-runner) 214 miles from Belfast over the hills through to Newry and over the border, and then down to Dublin, AND then turn around and run/walk back to the start. The race started at exactly midnight in calm conditions. Cool, but not cold. My plan was to take it easy from the start, walking at the back of the field, all the way through to the first checkpoint at Newry (40 miles) which I hoped to arrive at in about 9 hours. I knew that the hills through to Newry would take their toll and expected that most of the runners would go too fast and blow up later on. As it turned out, my ‘easy’ pace was still too hard, and whilst I arrived in Newry at almost exactly 9 hours, I was already beginning to struggle. I had walked at the back, a couple hundred meters behind the last of the runners for the first two hours (through to an all-night McDonalds where I decided to buy some French Fries). Some of the runners were having their first break outside McDonalds and I left them with their support crew and continued south. I continued to walk by myself and passed the occasional runner until I was in 7th place by the time we came off the hills and turned on to the 9 mile long canal path through to the checkpoint at Newry. As planned I had porridge for breakfast at the Newry checkpoint and then (not planned) I stopped at Burger King for some more French Fries. I knew that there was a big hill just south of Newry and I took it easy walking up the hill, eating my French Fries. My intention was to pick up the pace once I reached the top of the hill, and make the most of the next 8 hours of daylight. But the increase in pace never came and it took almost 4 hours to cover the 14 miles (22km) from Newry to Dundalk – the half way point between Belfast and Dublin. I wasn’t really struggling as such, but just had no speed and was really just going through the motions. When I arrived in Dundalk I decided that it was time to sort things out. I stopped at the first shop I came across and brought a bottle of coke and some chocolate, and I switched from listening to podcasts to listening to high tempo music. Two secret weapons that I had hoped to save until night time. It was only 1pm. The changes worked and I started to feel better. My pace didn’t improve much, but I was feeling better and it wasn’t long before I arrived at the 70 mile checkpoint in Dunleer. At the second checkpoint I had my planned dinner of Pot Noodles but I didn’t enjoy them, especially with the knowledge that McDonalds in Drogheda wasn’t too far away. My McDonalds theory was that junk food calories were better than sugar calories this early into a long race, and 20 Chicken McNuggets and a large French Fries is a lot of calories. It may have been better to take a rest and eat my dinner at McDonalds, but instead I decided to eat whilst walking south out of Drogheda. This involved walking up a long hill, and trying to eat a large quantity of food and walk up hill at the same time isn’t easy on the stomach. By the time I finished dinner I wasn’t feeling too good. It was getting dark so I stopped to put my warmer clothes and head torch on at the top of the hill and again I pumped up the music. Before I knew it I was heading into Dublin – about 10 hours later. Time is a strange thing in long distance races. Sometimes hours can go by and it seems like just minutes, and this was one of those events where I was just drifting through the race – even if I wasn’t going as fast as I had hoped. My original plan involved arriving at the Dublin turnaround point, the Guinness Brewery in 25 hours, but at 1am I was still over 9 miles from the turnaround. Around 2am I came across the race leader, Jill Mccann, and her support crew. 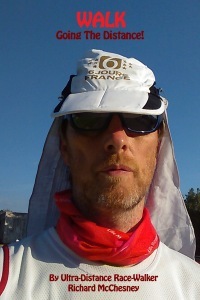 They had reached Dublin in a shade under 25 hours (in second place but the race leader, who was three minutes ahead, had decided to drop out at the half way point) and said that they were planning on grabbing some sleep soon. 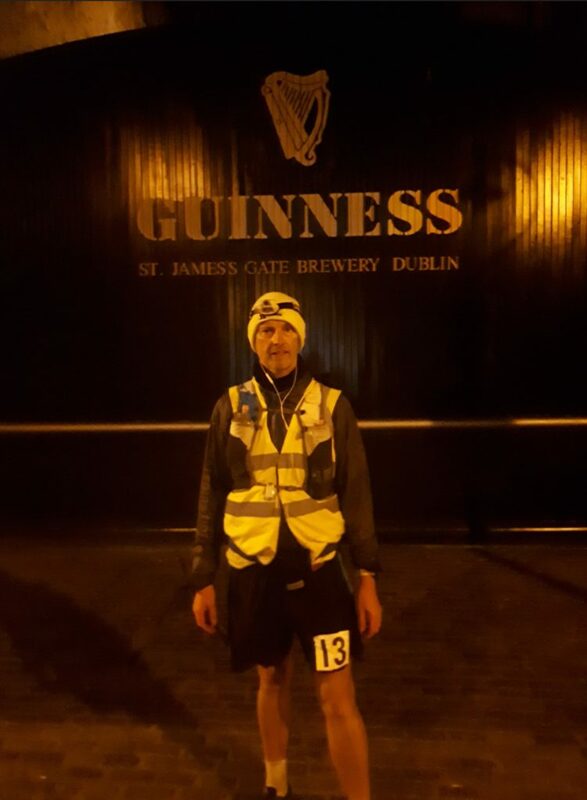 I kept an eye out for any other runners heading north as I continued into Dublin but was surprised to arrive at the halfway point to learn that whilst I was 5th to arrive, only Jill had left for the return journey. I had my halfway photo taken outside the Guinness Brewery and left Dublin as quickly (slowly) as I had arrived. Jivee Tolentino (3rd to arrive in Dublin) was just waking up from his 1 hour sleep, and I wanted to put some distance on him before he got started again. The results show that I was 2 hours and 22 minutes behind Jill at the half way point (Jill was second to arrive in 24:56, Jivee 3rd in 26:07, and me 5th in 27:18) but less than 2 hours after leaving Dublin I caught Jill near the airport, just as she and her support crew were about to start running again after their sleep. So by my calculations Jill had probably had about two hours sleep, and Jivee about 1 hour. And me, none! I was tired, but not tired enough to sleep. I was starting to admit to myself that I would need some sleep later on, but I wanted to get as far north as possible before then. I didn’t have a support crew or anywhere I could sleep, and it wouldn’t be warm enough to sleep on the side of the road until later in the day when the sun was up. At this stage of the race I was calculating how I could win the race. I figured that any of the three of us could win, and there were still several others behind us that could possibly catch us. There was still a very long way to go. I was feeling good through until daylight and for a few hours afterwards. I wasn’t going fast, but I could see on the tracker that for every few miles I walked, I was increasing my margin over Jivee by about half of the distance that Jill was increasing her lead over me. I reminded myself that they were both runners and therefore should be going faster than me, but neither had anywhere near the experience in racing distances like this compared with me. I still felt confident that I could win this race. I don’t remember when that positive attitude changed, but my the time I reached Drogheda again I realised that I had too much sugar in my system and decided to stop at Dominoes to order a pizza – figuring that pizza was better than chocolate and more substantial than McDonalds. It was a warm sunny day and I sat in the sun across the road from Dominoes eating a family sized pizza. Jivee ran past and declined my offer of food. He was looking good, although when racing, you always want to make your competition think you are feeling good even if the opposite is true. As he ran past me I remembered that two years ago I had passed him in the last few miles of the Dublin to Belfast race, and I thought to myself that maybe we were going to see a repeat of that this year. After about half an hour I decided it was time to start walking again. By this stage I was mentally exhausted. I kept an eye on my pace and calculated that I could still finish the race, probably by about lunchtime Saturday – 60 hours. Maybe 62. When I entered the race I was confident that I would finish in well under 60 hours and, being the cheap accountant that I am, I had booked a cheap flight home for 6pm – and from Dublin International Airport which is about 40 minutes drive from the finish line. This meant I would need to finish the race in 64 hours or less in order to get to the airport and on to my flight. I would need to finish earlier than that if I wanted a shower to spare the other passengers from the smell that comes from walking for 60+ hours. I started to imagine myself having to quit the race with just a few miles to go in order not to miss my flight. Whereas hours had felt like minutes the previous night, it was now a case of minutes feeling like hours. I was struggling both mentally and physically. During the afternoon I had three separate attempts at sleeping. The first was behind a hedge lying in the sun but after about 10 minutes I realised that there was no chance I would get to sleep and I resumed walking. The second attempt was in the car of Mal, one of the race volunteers. He said that I slept for a few minutes but I am not convinced. And the third attempt was when I came across a soft green lawn beside the road somewhere in the middle of nowhere. Again, I lay in the sun for about 10 minutes but wasn’t able to sleep. About an hour or two later, Nick was just arriving home at 8pm when I called him to say my race was over. I don’t know what happened, but I was getting slower and slower as I approached Dundalk, and the calculations in my head were now telling me that it was highly unlikely that I would reach Belfast in time to catch my flight home. I had given up hope, and the moment I gave up hope, my race was over. As I walked in to Dundalk (161 miles/259km and 44 hours after leaving Belfast), having decided to quit the race, I saw the support crew for one of the runners doing the one-way race from Dublin to Belfast. Initially I thought they were the race organisers and I walked over to them to tell them I was dropping out. They weren’t the organisers but they called ahead and told them I was dropping and that they would look after me until Nick arrived to collect me. I sat in the back of their van for the next couple of hours as we followed their runner through to Newry. I could smell myself and kept apologising for the smell, but they didn’t seem too concerned. I posted on facebook that I had dropped out and almost immediately received a message from US based ultra-distance walker Ivo Majetic who tried to convince me to have a sleep and then resume the race. If it had been a track race, or if I didn’t have a flight booked, I may have considered his suggestion, but I was adamant that my race was over. Nick met us at Newry and took me back to his place where I slept soundly for almost 11 hours! When I woke I felt 100% better. In fact I would almost say that I was fully recovered – other than slightly sore legs – but I never considered the possibility of resuming the race, and had no regrets about the DNF. 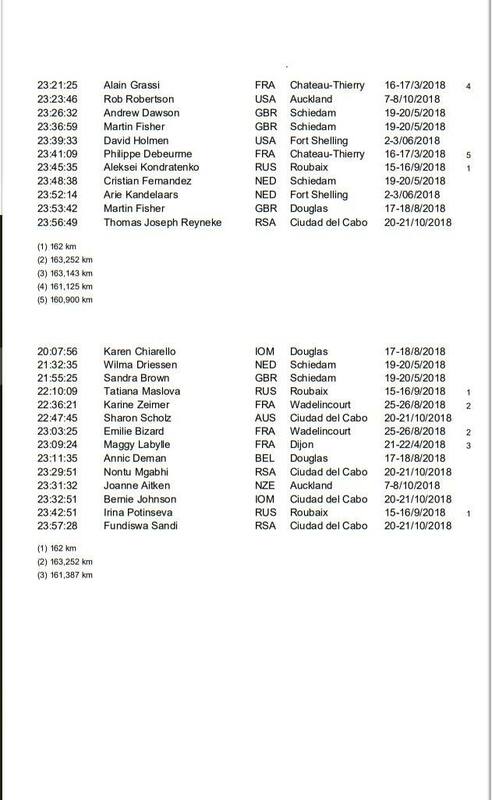 I am writing this report 10 days after the race. I have thought about very little else since dropping out. Did I do the right thing? I think I did. For the week after the race I had a bad chest cough which may have been brought on by the race, and would have probably been made much worse if I had pushed through to the finish. The Sunday after the race was Mother’s Day in the UK, and having had a good night’s sleep at Nick’s place, I flew home on Saturday night and was able to enjoy a family day on Sunday without being exhausted from the race. 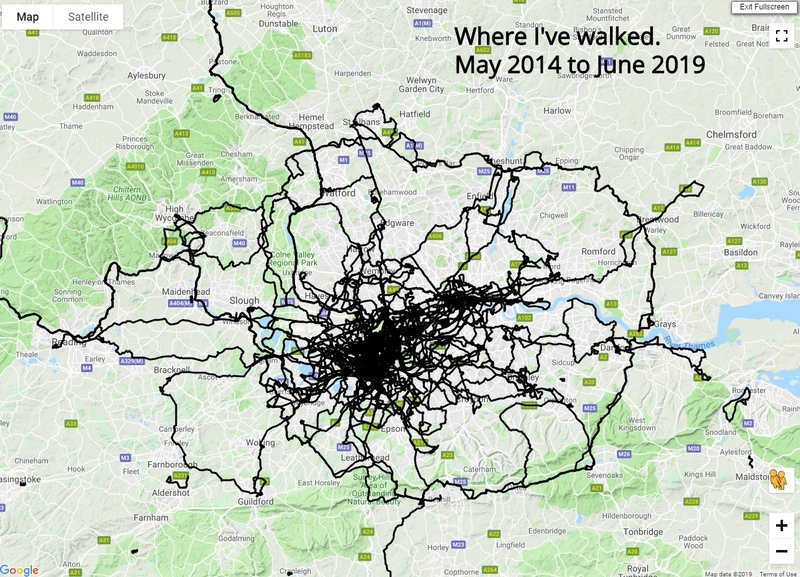 I learnt a lot from my 161 mile adventure. Lessons that will prove invaluable next year when I got back for another attempt. One of the big differences between the one way race and the double, is that the double starts at midnight whereas the one way race starts at 12 noon. By the time the race started I had already been awake for 9 hours after a 3 hour nap and a morning at work. Next year, rather than trying to save money on the trip to Belfast, and also getting less sleep that optimal the day before the race, I will book a morning flight to Belfast, check in to a cheap hotel, and sleep from early afternoon through to about 10pm before having a big pre-race meal before race start. Next year I’m going to book a cheap hotel on the outskirts of Dublin, possibly out by the airport somewhere if there is a hotel handy to the route we followed. My new plan is to check in to the hotel on my way in to Dublin, have a 10 minute lie down, and then put in a fast three or four hour return trip into Dublin and back before having a decent sleep through to daylight. Next year I will plan to sleep. I know from my six day races that a couple hours sleep can make a world of difference both mentally and physically. During the race I had three attempts to sleep and may have managed a total of ten minutes. I was desperate for sleep but having not planned my sleep I found I couldn’t get to sleep when I tried because my body was so hyped up on sugar. Don’t book a flight home until after the race cut-off. Could I have finished the race if I wasn’t trying to beat a 63/64 hour cut-off instead of the 72 hour cut-off imposed by the race organisers? In the end, Jill won the race in 59 hours, Jivee finished second in just under 62 hours, and Lito completed an incredible race to finish a little over the 72 hour cut-off. The ‘race’ doesn’t start until the last quarter. I shouldn’t have been paying any attention to the progress of any of the other runners until at least Dundalk, and probably not until we hit the hills after Newry. The first 160+ miles is about surviving, and if you are fortunate enough to make it to the final stages of the race, then you can consider whether or not there is an opportunity to pass anyone in front of you. Congratulations to Jill, Jivee and Lito on completing your races. 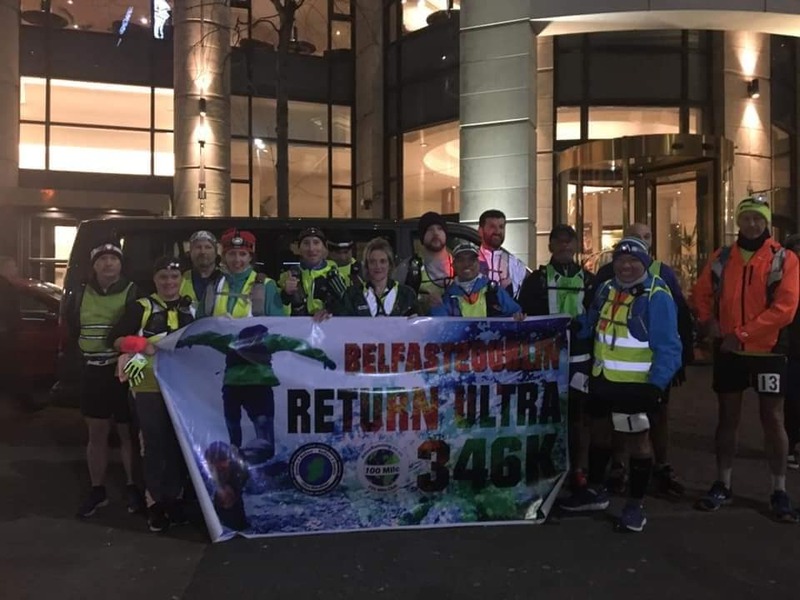 And a huge congratulations to Sandra Brown who walked the Dublin to Belfast race in 27 hours 50 minutes, and in doing so became the first person in the world to complete 200 events of 100 miles or more! This race report was supposed to be a follow-up to my successful race at Last One Standing England last June in which I completed 36 laps and felt like the Duracell Bunny – in that I felt like I could have kept going for many more laps if I had had too. In fact, I was so confident in my ability that I had ignored the race organiser’s comments that Last One Standing Castle Ward was not a course that could be walked as easily as Last One Standing England, and I booked two flights home – one for Monday night and one for Tuesday night in case the race went longer than 52 hours. 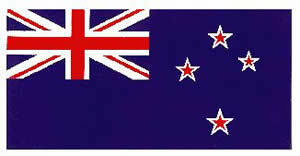 It turns out that I should have also booked a flight home for Sunday night – or even Sunday morning! The idea of the Last One Standing events is that athletes have 1 hour to complete a 4.17 mile (6.7km) trail loop and be back on the start line for the next lap at the top of the hour. If they don’t finish their lap within the hour, or are not on the start line for the next lap, they are eliminated. The winner is the person who completes the most laps – the Last One standing. Athletes can go as fast or slow as they want/can, providing that they don’t take more than an hour. It becomes very strategic. Do you go fast and have more time to rest, feed yourself, go to the toilet, etc. Or do you conserve as much energy as possible by going slower, but being careful not to go too slow, and have less rest between laps. Last One Standing Castle Ward is held in mid-February in Northern Ireland. It gets cold in Northern Ireland in February, and colder at night. This also needs to be taken into consideration when deciding on how long your rest breaks should be. It might be better to keep moving and keep warm, than to rest too long and cool down. This was my second Last One Standing event and my first winter ultra-distance race – I prefer to avoid cold conditions. Unlike the runners, I wouldn’t get too much choice on how long my rest breaks were. At Last One Standing England my lap times had ranged from 53 to 57 minutes and had averaged 55 ½. 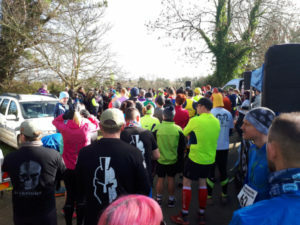 This year’s Last One Standing Castle Ward was on a new course (not that I had competed in previous years) with a new start/finish area outside the ‘Bunkhouse’ in the Castle Ward National Trust property near Strangford in Northern Ireland – about 25 miles from Belfast. From the start we ran/walked downhill for a few hundred meters before turning right and heading up a long gradual climb into what became a strong and cold headwind during the first night. At the top of the hill we turned almost 180 degrees and onto the trails through the woods. The trail was mostly single track and with 121 athletes almost everyone was forced to walk many sections of the early laps due to their inability to easily pass those in front of them. This made the first few laps very social and I enjoyed talking to old and new friends as we walked. When the runners could, they would run ahead of me but I would catch them up again when they were forced to walk because of other runners in front of them also walking. The course seemed to wind its way all over the place – lots of zigging and zagging. After about 1 mile we were back within 200 meters of the Bunkhouse, which made it easy for spectators to watch the start and then walk a couple hundred meters to see us again. And then at about 2 miles we again came within a short distance of the Bunkhouse before heading downhill to the only road section of the course – and the only section where, as a walker, I could really pick up any speed. The road section was only about 500 meters long, but in the later laps I used this to change my muscles and walked at ‘race pace’ usually closing the gap on any runners I could see in front of me. This took us to about three miles and from there it was mostly up hill through to a short lap of about 300 meters and a final 100 meters slightly downhill to the finish. Overall, it felt like a very long course and being so undulating/hilly (110 meters of up and down hill during each lap), it wasn’t an easy course. As with Last One Standing England, I spent the first few laps working out what times I needed at different ‘checkpoints’ in order to finish each lap in around 55 minutes. My first lap was too fast at 51:49 but was also very social, talking to other athletes. I decided that the 180 degree turn at about 1 mile would be my first checkpoint and worked out that anything in the mid 13 to high 14 minute range would be an ideal pace for me. The next checkpoint would be at 2 miles when we came off a single track trail and turned left to head downhill. Ideally 25 ½ to 27 ½ minutes would be my target time. As it turned out, on most laps I forgot to check my watch at this checkpoint. And the third checkpoint would be at the start of the road section – 34 minutes on the first lap, 38 minutes later on. Finally, with roughly 500 meters to go I timed how long it took me to get through the small lap near the finish and through to the finish at the Bunkhouse – 4 minutes on the first lap taking it easy and 3:30 on the second lap walking harder. This would be important to know when/if I started struggling later in the race. The reason I walk is that I have a long-term impact related ankle injury which makes running uncomfortable (sometimes painful) and unenjoyable, but I figured that if I got to the ‘500 meters to go’ point with less than 3 ½ minutes until the top of the hour, then I could run to the finish if necessary. 121 athletes started the race and for all athletes things went reasonably well through the first few laps. The race started at 12 noon and when darkness fell early on lap 7, all 121 athletes were still in the race. But for me, and many others, the race changed the moment we put our head torches on. 119 athletes finished lap 7, 116 finished lap 8, then 110, then 102. By the completion of lap 12, 50 miles, there were 87 left. A lap later, 59 athletes remained. For me, I never really felt good from the start and when darkness arrived my 55 minute laps became high 56’s and 57’s. At 9 hours I had my first Coke in the hope of picking things up, and at 12 hours I had another as well as chocolate. In all my races I try to go at least the first 12 hours without processed sugar, preferring fruit and crisps. In the case of Last One Standing, I expected to be walking for a minimum of 30 hours so didn’t want to be consuming too much sugar too early. I also switched from listening to podcasts while walking to listening to high tempo music. On courses where I have control over my speed (i.e. courses that are not constantly changing from downhill to uphill to downhill again) I find that high tempo music helps me to keep my cadence up, and therefore keep my speed up. But I quickly realised that the Last One Standing course was not going to give me the opportunity to use music to control my cadence. Neither the music or the Coke/sugar were helping as must as I hoped. My lap times were holding steady in the mid 57 minute range, but 2 ½ minutes wasn’t enough time to do much other than grab something to eat and drink. I had stones in the bottom of my shoes but no time to empty them. On lap 15 (2am to 3am) I started thinking that I need to get through to daylight (7am) and then my pace would naturally pick up and at that stage I would have time to sort out my shoes. But lap 16 was my slowest yet. It took me 59 minutes and 43 seconds. I crossed the finish line and walked the 20 meters straight to the start line in time to start the next lap. No time to get any food, and most unfortunately, no time to change my head torch which was almost flat. There were still 34 of us in the race so I turned off my head torch and relied on the light from the other runners’ torches to show me the way. This meant going faster than I had been down the hill from the start and then up the hill into the strong headwind. The benefit of doing this though was that with the faster start I should have a faster overall lap time and hopefully time to change my head torch at the end of lap 17. As soon as we reached the 180 degree turn at the top of the hill, the runners started running and slowly pulled away from me. I turned my head torch on and focussed on staying upright on the trails which were by now very familiar but not familiar enough to walk without light. I finished lap 17 in 50 minutes and 51 seconds – 9 seconds to spare! On both laps 16 and 17 I arrived at my final checkpoint (500 meters to go) with a shade over 4 minutes remaining. I’m so used to walking that I completely forgot that I could try running to ensure I completed the lap in time. Maybe on lap 18. I started lap 18 in the same way that I started lap 17 – with my head torch turned off and going hard to stay with the remaining runners. When the runners started running at the top of the hill though, I had nothing left. 16 minutes at the 1 mile checkpoint and 32 at 2 miles. My race was effectively over. It was highly unlikely that I would complete the last 2.2 miles in under 28 minutes so I decided to turn off my music and enjoy the quiet of the night during my final half lap. My lap 18 time – 1 hour and 17 minutes. My race was over at 75 miles. In a Last One Standing race there is only one finisher – the winner – the one that completes more laps than anyone else. Everyone else is a DNF (Did Not Finish). After getting some sleep I joined some of the other DNF’s inside the Bunkhouse to support the remaining athletes. At 30 hours, 125 miles, there were 8 runners left. By the end of lap 34 there were only 5 runners left – Defending Last One Standing Castle Ward champion, Peter Cromie who completed 48 laps at Last One Standing Florence Court last year and 36 laps at Castle Ward; Richie Hinson, second behind me with 35 laps at Last One Standing England last year; experienced Last One Standing competitors Andy Persson and Sean Nickell; and ‘unknown’ Florian Nattero from France. They all looked good and we were preparing for a long night of supporting when we heard that Sean was going to drop out upon completing the 36th lap (150 miles). Richie was looking good and then he was looking bad, and then good again. Florian was keeping to himself. Things changed dramatically at the end of the 36th lap. Only Peter (52 minutes), Andy (54 minutes), and Florian (55 minutes) finished within the one hour time limit. Peter and Andy had their short rests and walked to the start line for lap 37. Florian held back – his race was also over. Lap 37 saw Peter finish in 51 ½ minutes and Andy finish 45 seconds later. The following lap, Andy finished a few seconds before Peter with both taking 51 ½ minutes. It looked like they were both going to continue for many hours and most of the DNF’s decided to get some sleep. It was 2am after all. My plan was to sleep for 1 ½ hours then watch them both complete lap 40 at 4am. Instead, I woke up around 6am to find that the race was finished. Andy had started lap 41 but was totally spent and dropped out mid lap. Peter finished lap 41 to learn that he had won an awesome race. On the flight home I did some analysis of the results, because if I can’t win at winning, I thought maybe I could win at losing. 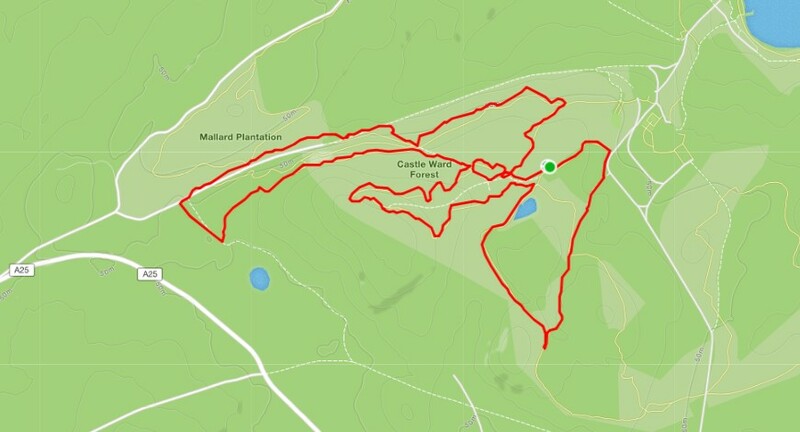 I discovered that of the 120 DNF’s, only two of us completed a lap in 59 minutes and change and then gone out for another lap. Anne McGrane took 59:39 for lap 7 before being timed out on lap 8, and I completed lap 16 in 59:43 before taking 59:51 for lap 17 and then being timed out on lap 18. So I won first and second place for slowest laps completed and going out for more fun (punishment). 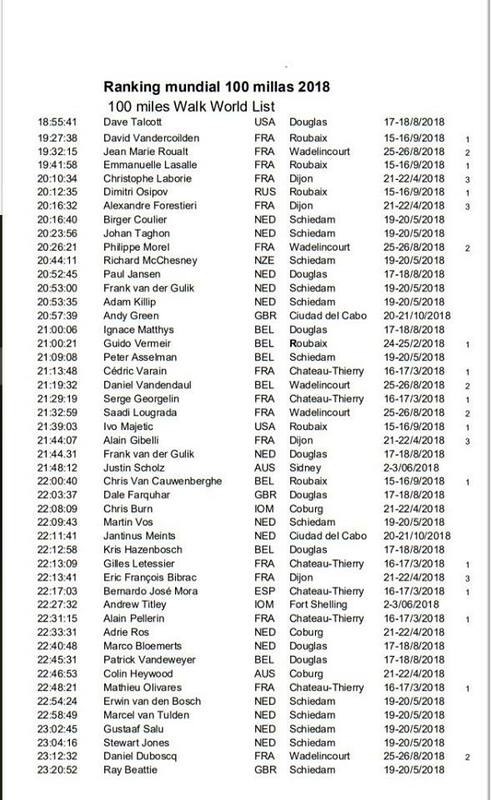 Interestingly, only 33 of the 120 DNF’ers were timed out. The other 87 completed their last lap in under an hour but for various reasons they were unable or unwilling to start the next lap – Although the results don’t show if someone started a lap and didn’t complete that lap, so that probably accounts for some of the 87. Last One Standing is very much a mental game, and whilst the forced rest between laps can be helpful, it can also be mentally difficult to get started again. I don’t usually race this early in the year as I don’t like the cold, especially overnight. 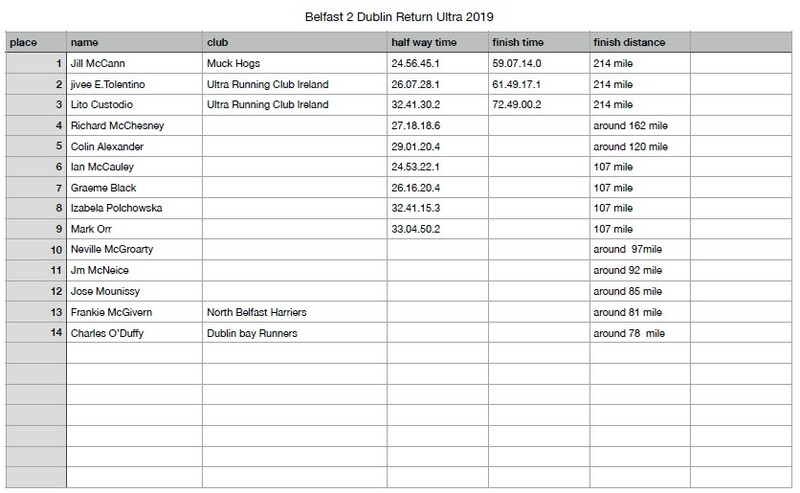 In fact, the last two years I’ve waited until late April before competing in any races, but this year I have the opportunity to compete in the first Belfast to Dublin to Belfast ultra race. 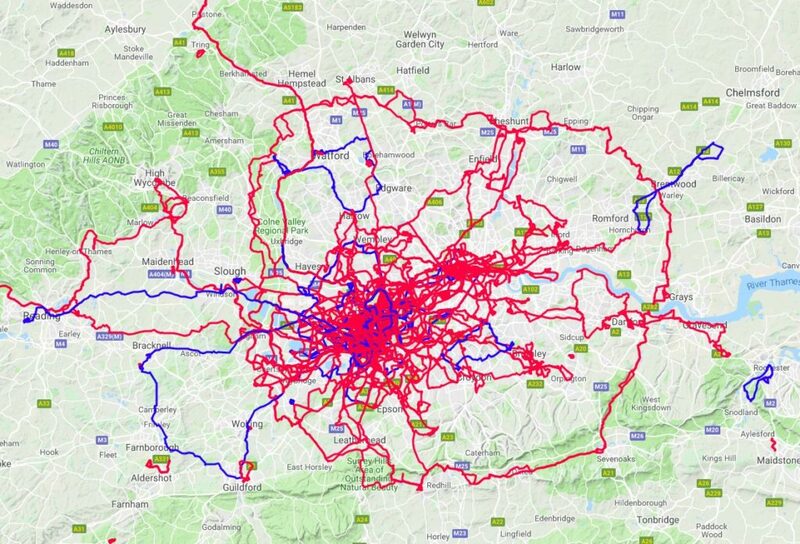 This 214 mile, 346km race is organised by Atlas Running, the people who organise Last One Standing Castle Ward (and Florence Court) and co-organise Last One Standing England. 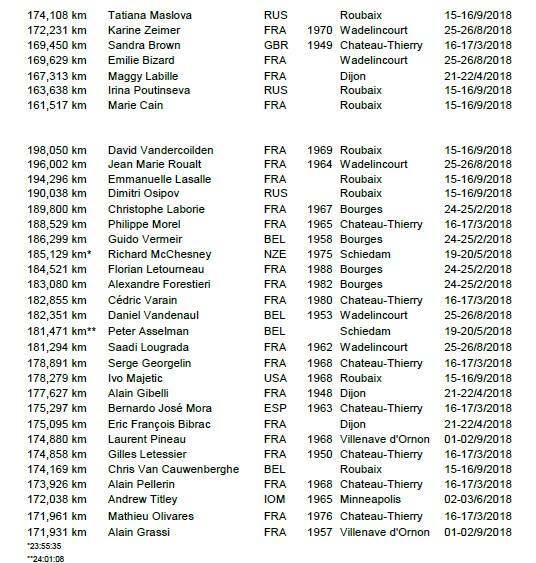 It starts at midnight on Wednesday 27th March, and I’ll be on the start line!